Agbogbloshie, Ghana is in the news again. International media such as The Guardian, Al Jazeera and the Washington Post have helped turn this place into an infamous example of electronic waste (e-waste) dumping. Among other problems, these portrayals ignore several UN reports that show the story to be much more complex. 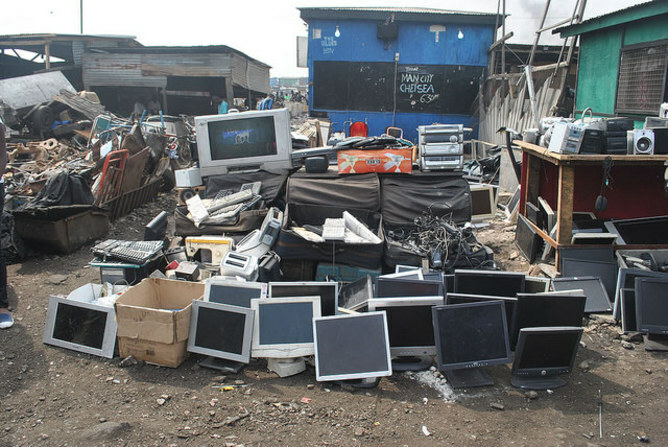 More than half of the discarded electronics in Ghana are generated by domestic consumers, driven by the growth of Ghana’s middle class and its demand for electronics. 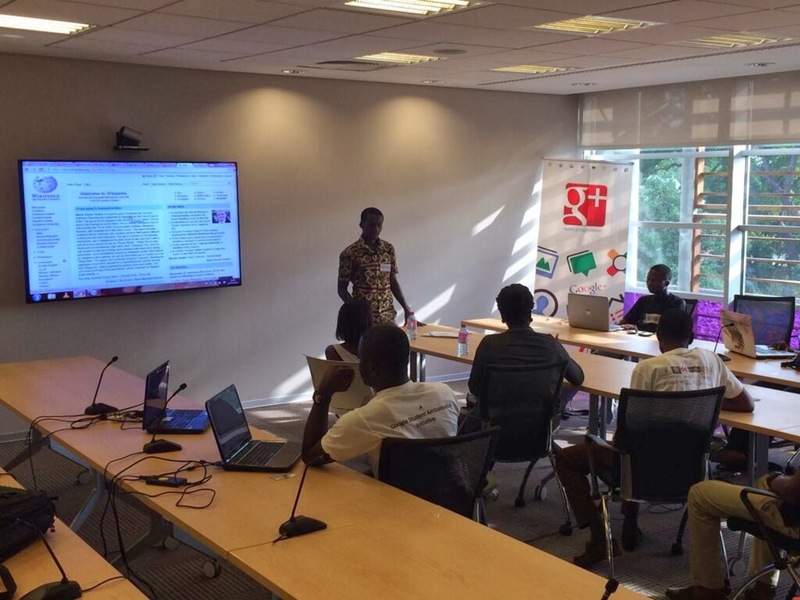 Wikimedia Ghana User Group meeting. High-quality used electronics sourced from countries outside Africa satisfy much of this growing demand in Ghana and other areas of the world. That means that neither stopping imports of used electronics to Ghana nor recycling them will solve the e-waste problem. Instead, solutions need to be found “upstream” in the way electronics are manufactured and consumed in the first place. There is also a need for infrastructure to appropriately manage materials from electronics discarded by domestic consumers in Ghana and other places like it. E-waste is usually narrowly defined as a byproduct of consumption. This is odd because doing so leaves out of the equation key issues in the life of electronics such as resource extraction, manufacturing and occupational health and safety for workers. Though it is typical to associate digital technology with notions of a dematerialized “information economy,” such an association is a false god. Serious proposals to reduce e-waste must address how electronics are manufactured in the first place. Some ways to do that include designing electronics that are more durable, repairable and recyclable. Doing so would increase the likelihood that the embodied energy and materials in electronics would be conserved through longer use and for more efficient recovery of components and materials once discarded. Another big part of the equation includes consumer behavior. How many of our digital upgrades result from genuine obsolescence versus fashion? 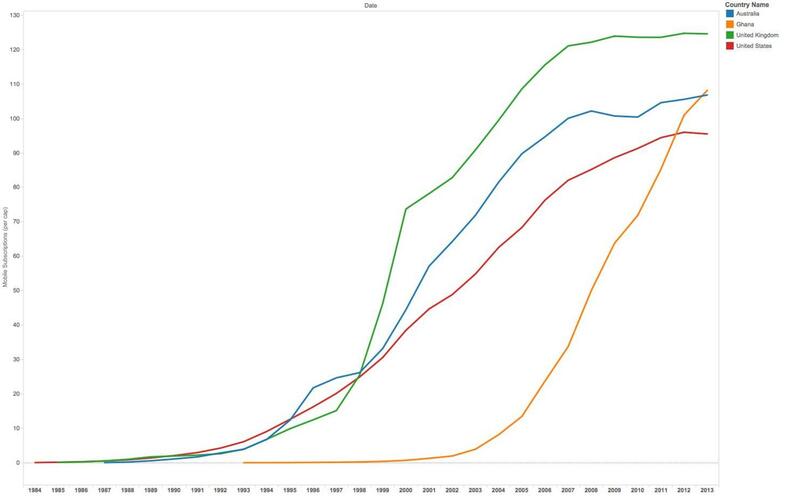 Mobile cellular subscriptions per capita in select countries, 1984-2013. To date, efforts to reduce e-waste focus on recycling. In the US, a growing number of states have enacted electronics take-back legislation. These laws have shifted the cost of recycling electronics to consumers without ensuring that manufacturers internalize those costs. This is perhaps not a bad thing – arguably, people who consume a particular class of commodities should share some responsibility for its end-of-life management. Yet, until electronics manufacturers feel the sting or are able to differentiate themselves in the marketplace on more than just their recycling credentials, they have little or no incentive to modify how their products are designed and made. An even more concerning development is that electronics manufacturers are challenging established US legal doctrine to make it illegal for consumers to open, modify or repair their own electronic equipment. For example, the printer manufacturer Lexmark won a key case in 2003 that made it illegal for other firms to refill and sell used toner and ink cartridges from Lexmark’s printers. These moves by manufacturers have sparked a growing consumer movement to enshrine the right to repair in law. The automobile industry offers a good illustration of the consequences of this shifting legal landscape. For decades, the right to repair and upgrade your own car or to access a wide array of independent aftermarket and repair services of your choice was the norm. As electronics have seeped into automobiles, the industry is taking cues from electronics manufacturers and pointing to provisions in the US Digital Millennium Copyright Act that stymie car owners’ abilities to repair their own vehicles or to choose where to have them serviced. Yet if repair, reuse and resale was the norm in one multi-billion-dollar industry (automobiles), that tells us it is possible in another (electronics). If we buy it, we should maintain the right to repair, reuse and resell it. The nearly exclusive focus on post-consumer recycling to solve the e-waste problem is itself part of the problem. Mechanized, high-tech recycling destroys the embodied energy built into electronics. It does nothing to reduce the waste that arises during manufacturing. The recycling process also has its own energy demands that add to the overall energy footprint of electronics (though recycling can provide savings compared with raw material extraction). Better than bans on exporting discarded electronics or improving collect-destroy-recycle systems would be to enhance systems of repair and reuse. The global patterns of trade in discarded electronics are rapidly changing. A growing majority of that trade is occurring within and between areas of the highly diverse global south. Highly skilled repair and refurbishment are an important part of the story at places like Agbogbloshie. 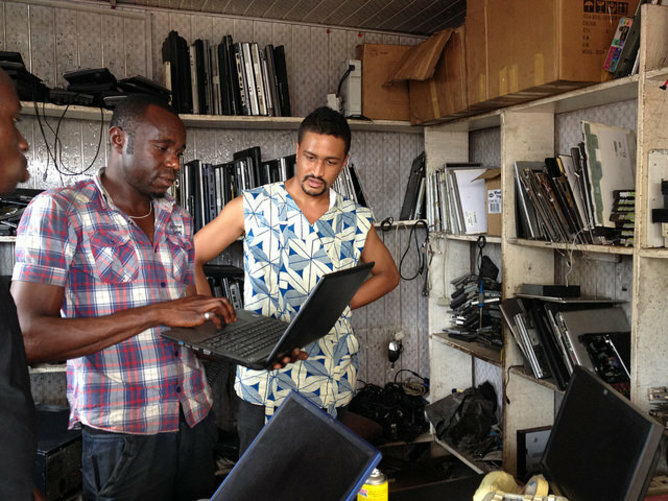 Sites such as Agbogloshie, Ghana, are where a flourishing technical sector for electronics repair, reuse and resale meets another thriving, if not always pretty (to some), materials-recovery sector. In removing metals and other valuable materials, processes at sites like these do lead to the release of toxins into the environment and workers. But people doing this work don’t need prohibitions from the global north to save them. There are viable possibilities for bringing versions of fair trade – now used with coffee and other goods to improve workers’ conditions – to the exchange and processing of discarded electronics. When it comes to reducing waste from electronics, it is time to experiment with change in how these technologies are produced, consumed and discarded. Josh Lepawsky is Associate Professor of Geography at Memorial University of Newfoundland.